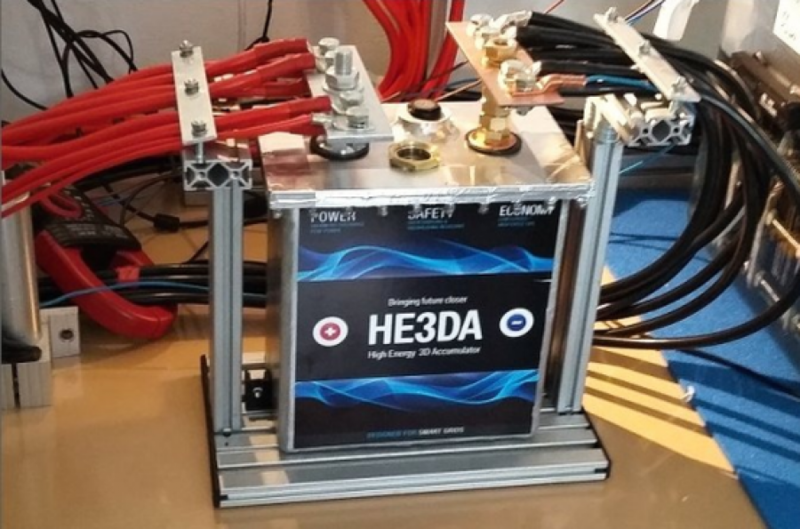 HE3DA (High Energy 3D Accumulator) has developed the technology and process of producing lithium-based nanomaterials with 3D special electrodes. 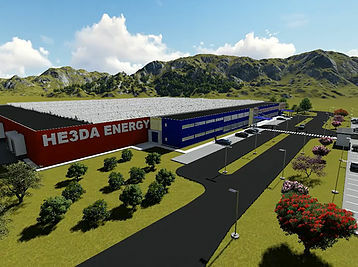 HE3DA produces batteries with capacities of up to hundreds of MWh, which can be as large as a train wagon. These accumulators are primarily used for energy back-up, whether in the event of a power outage (in the case of hospitals and similar non-stop operations), or to balance power at unpredictable sources – mainly photovoltaic and wind power plants. In addition to the somewhat mysterious active nanomaterial that the electrodes are filled with and the unusual horizontal arrangement of battery cells, inventor Jan Procházka emphasizes the safety of a new type of battery that is almost absolutely safe due to the use of a ceramic separator and the deposition of cells in the metal frame. 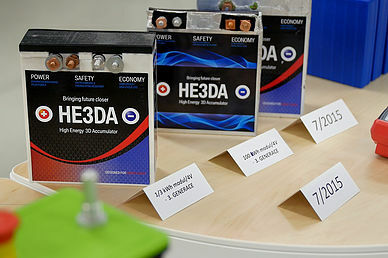 In addition to the fact that HE3DA batteries are cheaper than competing products, they are also fully recyclable. “Energy needs a safe and inexpensive battery and we have it,” Procházka says. Last year, he received a medal from the President for merit in the field of science.